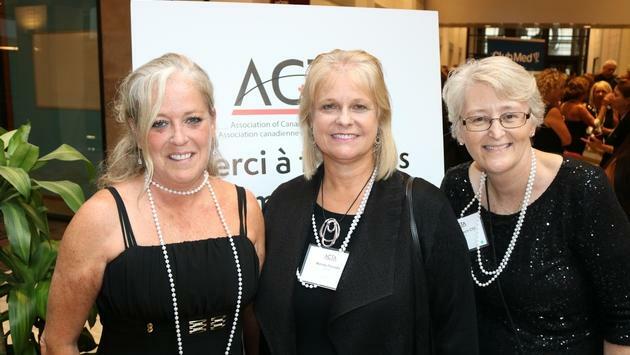 ACTA's Manon Martel Regional Membership Manager, Quebec, Wendy Paradis, President and Doreen Lynch, Director of Membership. Seeking to appease angry Canadian agents, ACTA late Friday afternoon issued its second statement of the day regarding its recent agreement with Virtuoso. In a comment emailed to TravelPulse Canada, Virtuoso's Tim Morgan said ACTA and Virtuoso were clear on the agreement, "but we realized that the wording of the release was being interpreted in an unintended way." Whether this answers all the questions agents have been asking remains to be seen, but it was no doubt an important statement, delivered shortly before 6 p.m. Eastern Time by ACTA’s Marco Pozzobon. “Good afternoon friends in media. ACTA and Virtuoso were asked by members to provide further clarification on our recent Consortia Partnership Agreement. The following was delivered to ACTA members today that we thought you would find of interest. “ACTA and Virtuoso would like to clarify their recently announced partnership agreement, including the definition of a Consortium Partner as opposed to a Consortium Member, which has caused confusion due to misinterpretation of parts of the press release. “In its Partner Program, ACTA also has existing partners, and, as per the original press release, Virtuoso is the inaugural and only partner currently in the newly created Consortia Partner category. As a Consortia Partner, similarly to ACTA’s existing Corporate Partners, Virtuoso invests its time and resources in order to support ACTA’s vision of a healthy and vibrant retail travel industry where the travel advisor is recognized as an expert resource. This allows the two organizations to work more closely to create innovative programming that supports a strong retail travel industry. At the same time this partnership supports professionalism through Certification and Education. Savings passed along to Virtuoso members to enroll in ACTA’s Membership and Membership Programs is a strategic move funded by the Virtuoso group for their members, based off the existing successful partnership model between Virtuoso and ASTA in the USA. “In no way is this partnership setup to impede another travel agency organization or industry partners from working with ACTA creatively and innovatively to support its members and its mandate whether through its Member Program or its Partner Program, like Virtuoso has done. The release stated that, as part of the agreement, Virtuoso’s 185 Canadian travel agency locations will receive an annual 30 percent rebate on their ACTA membership up to (CDN) $750. Virtuoso agency members may instead use these savings to register their advisors to attend ACTA Premium Networking Events. ACTA will also provide Virtuoso members with a 30 percent discount on the price of Certified Travel Counselor and Certified Travel Manager registration fees. Non-Virtuoso agents in Canada reacted with anger, with some calling for boycotts of ACTA or other measures. Flemming Friisdahl, Founder, The Travel Agent Next Door, said it was “very disappointing” to see ACTA do an exclusive agreement with a particular organization, noting that he always felt ACTA was for ALL consortiums and their agents. Frisdahl said TTAND would be re-assessing its ACTA membership. “This is in direct conflict of the perceived mandate of ACTA,” said Lindsay Pearlman Co-President of Ensemble Travel Group and a former ACTA board member. That statement was followed by the above comment, issued late in the day Friday. “ACTA is proud to work with all of Canada’s key Travel Agencies, Consortia and Host Agencies and we are very pleased that Virtuoso will also now be working alongside ACTA in Canada to assist us in continuing to build a strong retail travel industry,” the statement said.